Here are six ways that good transportation management can help your company gain a stronger foothold in the marketplace and enhance its bottom line. Historically, transportation was thought of as more of a cost center than a driver of competitive advantage. In other words, instead of producing profits and helping improve the shipper’s position in the marketplace, transportation simply added costs to the firm’s bottom line. That perception is changing. As more companies pay attention to the value that their global supply chains—and the transportation strategies that drive those supply chains—provide, a growing number of them are turning transportation into competitive advantage. Reduce freight expenses. Every company across every industry is focused on costs right now, and with transportation expenses comprising a good portion of any shipper’s costs of doing business, utilizing a good transportation management strategy just makes sense. By implementing a transportation management system (TMS) or of your own—or using one provided by your logistics partner—you can leverage data, analytics, and real-time information to make the best possible freight choices. This, in turn, will positively impact your company’s bottom line and allow you to be more competitive with your own customers. 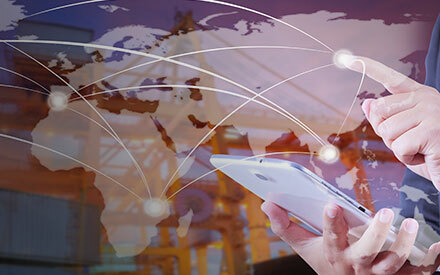 Enhance supply chain visibility. The days when a full tractor trailer rolled out of the yard and wasn’t heard from until it reached its final destination are long gone. Transportation managers and logistics coordinators now have real-time oversight over their drivers as they make their way across the country. Being able to gather data in real-time translates into better decision making (i.e., building future routes that are more quicker and more efficient, determine which drivers and carriers are more efficient than others, etc.) and can help your firm be more strategic in the marketplace. Improve warehouse inventory management. No company can afford to carry excess inventory in today’s ultra-competitive business climate, but getting caught without the right amount of inventory on hand can negatively impact customer service levels. Good transportation management helps companies strike a balance between the two. By combining TMS with warehouse management systems (WMS), for example, supply chain managers can keep tabs on inventory in real-time and ensure that their procurement professionals only buy what’s necessary without running into stock-out situations. Streamline billing procedures. Getting paid on time and in the right amount is a top priority for all firms, but achieving that level of nirvana isn’t always easy. When you track your entire transportation process via an automated system (such as the one we use here at DB Schenker), your accounts receivable process becomes a streamlined machine that requires less hands-on intervention. The amount of time saved on paperwork alone—leaving your valued employees to concentrate on even more important tasks—can be a significant driver of competitive advantage in the marketplace. Improve customer service. In a world where everyone has come to expect 2-day service at a flat, annual fee, keeping up with the Joneses has become a real chore. By taking a strategic approach to transportation management, and by improving supply chain visibility and reducing costs, you can provide a high level of customer service across a broad spectrum of clients. Enhance the customer experience with accurate, on-time deliveries and before you know it, those clients will be coming back to you with more frequent and/or larger orders. Scale your efforts across all business units and departments. As your company grows, maintaining a uniform, manual transportation management approach becomes more challenging. By utilizing a centralized, focused strategy, you’ll know that your transportation management will be able to scale up (or down, if needed) to meet the needs of your growing enterprise—be it for one location or spread throughout dozens of worldwide hubs. By integrating your business units on a common transportation platform, you’ll be able to effectively manage that growth while maintaining and enhancing your firm’s competitive advantage. As the logistics environment continues to evolve and change, the need for solid transportation management is sure to increase exponentially. If you’re not already using it as a strategic tool, you could face growing challenges in our increasingly globalized world, where higher costs and stiffer competition are waiting right around the next corner. Tackle these issues head-on right now by shoring up your transportation management strategy and leveraging the six advantages outlined in this article.